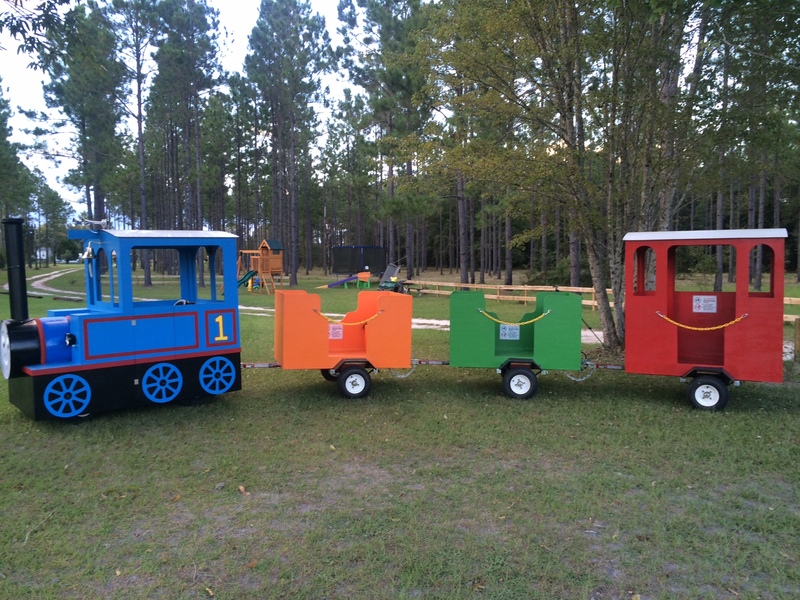 Our latest attraction is our new trackless train. 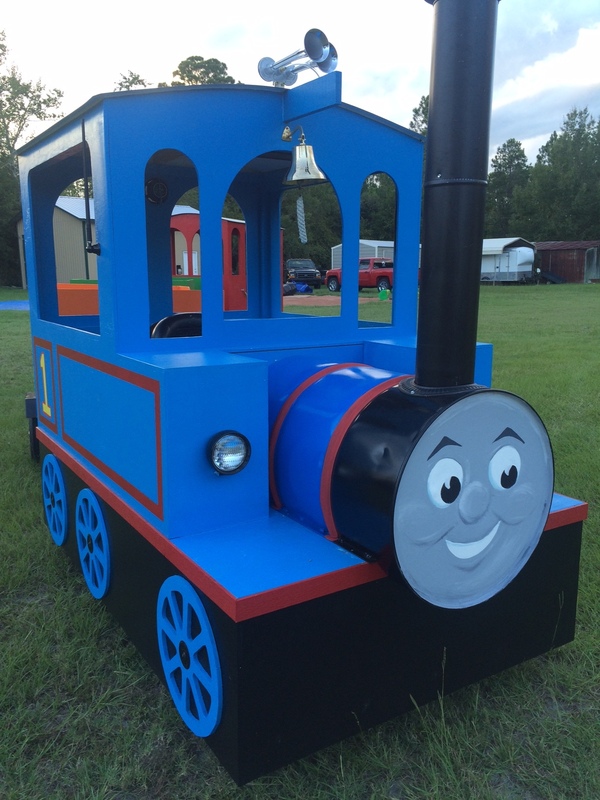 It’s a great way to set your party apart and entertain larger groups of kids. It’s affordable and sure to be the highlight of your special day. Without the limitation of tracks we can go anywhere you want as long as the surface is a fairly level grass or a paved surface. (For safety’s sake no steep grades please) Tour the party site, take a lap around the block, take a plant tour or shuttle your guests from the parking lot. These are just some of the ideas. 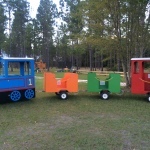 The Trackless Train consists of 3 cars and the locomotive. 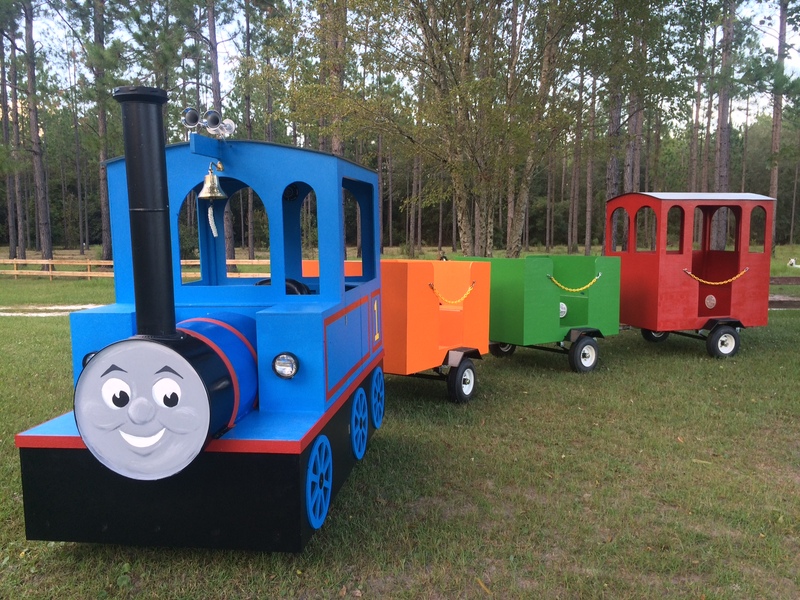 The train can carry 18 children or 12 adults at a time. 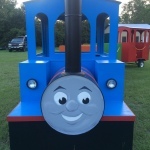 Let the “Little Engine That Could” be a hit at your next birthday party or outdoor event. 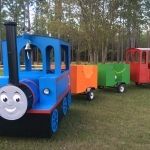 The rental will work as follows…The Train will rent for $300 for 2 hours, it will have an Engineer to run the train and can be reserved for longer if needed. Additional hours are $50.00 each. 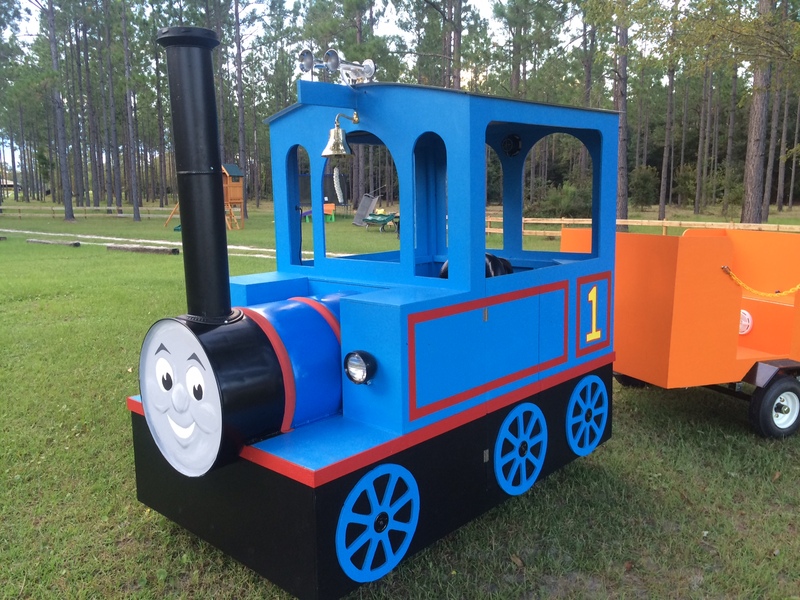 Trackless Train parties are a blast. 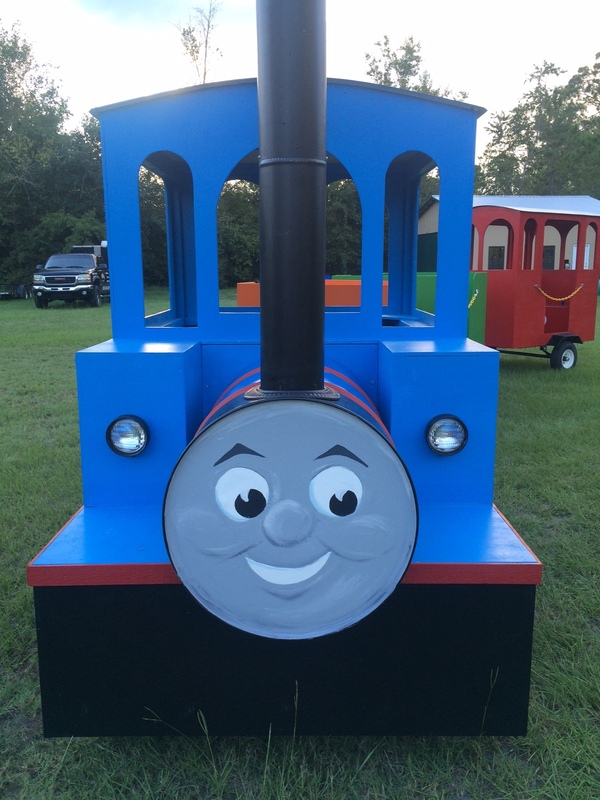 We will present the “guest of honor” with a Conductor’s Hat, a wooden train whistle and a red bandana. 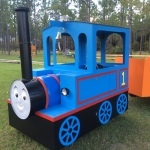 You can make railroad crossing signs out of paint stirrers from your local home improvement store, buy a train cake at most of the larger grocery stores, and don’t forget to send train tickets out with the party invitations. 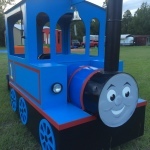 All Inflatables and rental equipment are subject to a Delivery fee, always depending on the location. Learn more about our delivery rates. Fill out the form on our Contact page and tell us which inflatable or rental equipment you’re interested in. Feel free to leave your phone number and we’ll get in touch with you ASAP.